Just a saturday afternoon post… I intended to write about these updates earlier, but I had a very busy work week which did not leave room for Slackware PR. Now that my two-week holiday has started, I have my hands free to work on software updates, my ARM port (which is again threatening to shrivel up and die, I am so much behind on -current) and I also want to put some serious work to a viable Slackware setup for Valve’s Steam client for Linux. 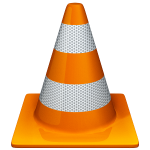 The sixth version of VLC’s “Twoflower” (codename for the 2.x series), is “a minor update that improves the overall stability. Notable changes include improved reliability for MKV file playback, fixed MPEG2 audio and video encoding … and other fixes. It also resolves potential security issues in HTML subtitle parser, freetype renderer, AIFF demuxer and SWF demuxer.” – quoting the VideoLAN news page. I checked the release notes page for 2.0.5 but was a bit disappointed that they just re-used the 2.0.4 release notes, changing “2.0.4” to “2.0.5” which means the release notes page is just bogus. Can anyone tell me how the new “ogg opus” support works for you? This new codec is supposed to replace other low-bandwidth codecs like speex but I have not seen any real-life cases. When the IRC developers channel mentioned earlier this week that the 2.0.5 release was nearing completion, I compiled the VLC “dependencies” tarballs in advance. Remember that I have to create 8 VLC packages when VideoLAN developers release a new version of their player (two Slackware releases, two architectures per release, and then restricted/unrestricted versions of each). The pre-compiled binary tarballs of statically-compiled dependencies or “contribs” speed up the process of creating these packages a great deal. The main update to these “contribs” for the new packages is for the ffmpeg libraries: I switched to the git snapshot which is considered the best available version by both VLC and at least one MPlayer build team. A note about BluRay support: I do not own a BluRay player, not BluRay disks or “downloaded” movies. The BluRay support in VLC (at least in my package) works only for unencrypted disks… and I do not think these exist actually – but I can not verify this. If you are able to playback BluRays please let me know about your experiences. Playback of encrypted BluRay DVD’s requires that you also install my libaacs package: http://slackware.com/~alien/slackbuilds/libaacs or http://taper.alienbase.nl/mirrors/people/alien/slackbuilds/libaacs/) and find yourself a set of AACS decryption keys (see these comments for some hints on that). I also upgraded my Flash Player packages. Adobe plugged another set of critical vulnerabilities (CVE-2012-5676, CVE-2012-5677, CVE-2012-5678) and if you are using a Mozilla-compatible web browser to watch Flash content, upgrading is strongly recommended. 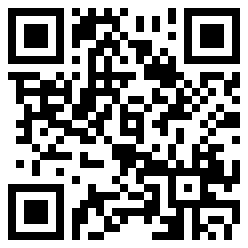 For more details, check here: http://www.adobe.com/support/security/bulletins/apsb12-27.html . Posted: 15 December, 2012 in Slackware, Software. Thanks for both of these Eric! Have a good holiday! Thank you Eric! have a great holiday! Thanks a lot for making these packages available, again! Regarding Opus, I don’t know, if there are any websites using or promoting it in the wild, but I am totally convinced that Opus will really take off, once all relevant web browsers support it. And this is only a matter of time, as Opus is part of WebRTC, and Mozilla browsers already support it. Now fast forward work as it should and doesn’t hang before playback. Flash is junk. This version is slower than the last. Apparently Adobe is ceasing to support Flash. It’s time we abandon Flash.